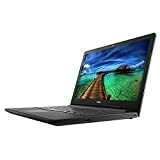 Take your work on the road with this Dell Inspiron notebook computer. The 15.6-inch HD touch screen helps you work more efficiently, and the 1TB hard drive has space for thousands of documents and other files. 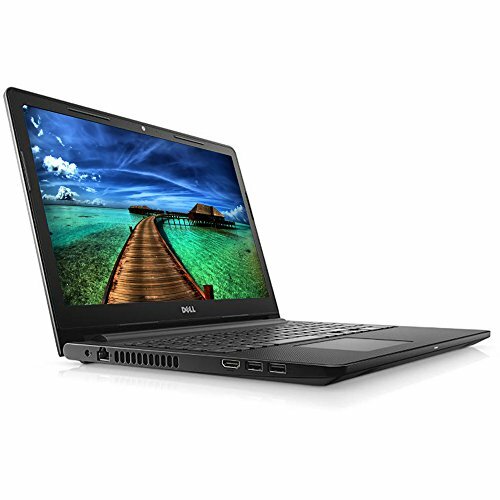 This Dell Inspiron notebook computer has 8GB of DDR4 RAM and an Intel i3 processor for lag-free multitasking. 15.6 inch LED backlight Widescreen LED-LCD Touchscreen for hands-on control HD (1366 x 768) Display, Intel HD Graphics 620. 7th Gen Intel Core i3-7100U Dual-Core mobile 2.40 GHz Processor, 8GB DDR4 SDRAM 2133 MHz, 1TB HDD. 1 x Ethernet, 1 x USB 3.0, 2 x USB 2.0, 1 x HDMI, 1 x Headphone output/Microphone input combo. MaxxAudio, DVD-RW, 802.11ac, Bluetooth 4.0, Webcam, Media Reader. Color: Black, Windows 10, 0.9" Thin, 5.07lbs Weight, Battery: 4-cell lithium-ion.